Rogue Legacy, the addictive "rogue-lite" adventure from Canadian developer Cellar Door Games, is set to bring its loot, monsters and many, many gruesome demises to Nintendo Switch in November. 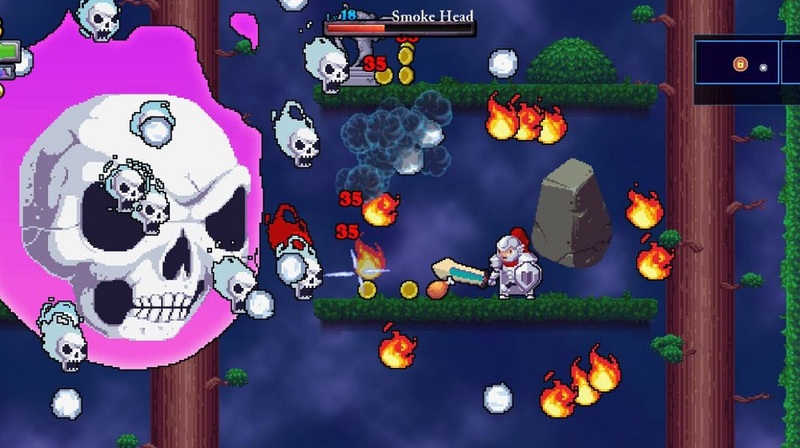 Already available on multiple platforms, Rogue Legacy is an action-platformer with a healthy daubing of retro aesthetics, in which players guide a series of brave knights (some affected with various attributes that shake up their playstyle) through a procedurally-generated map, chopping down ghosts and goblins, tackling huge bosses and bagging themselves lots of gear and loot. With each death, players take the next hero in the bloodline into the same castle, now wiser, tougher and a little more wary of the dangers that lie ahead. Receiving high praise from critics and fans alike, Rogue Legacy is an excellent game, and will be ideal for handheld play when out on the road, or just on the loo.